The striker for the National Football Team, Chencho Gyeltshen, 20, will now play for Chittagong Abhani Limited Football Club in Bangladesh. He will be paid US$ 4,000 equivalent to Nu 270,000, monthly, making him the highest paid athlete in the country. This is Chencho’s second time playing outside the country. He will represent Chittagong Abhani Limited in the ongoing Bangladesh Football Premiere league for the next three months. . The Bangladeshi club spotted Chencho during the second leg of 2019 Asian Cup Playoff Qualifiers against Bangladesh played recently. Chencho said he will try to create opportunities for the fellow national players to play in Bangladesh. He said his wish is to play in Europe in the future. 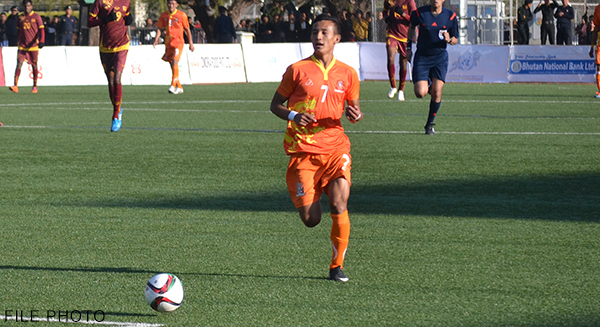 Chittangong Abhani won the Bangladesh Championship League in 2013.